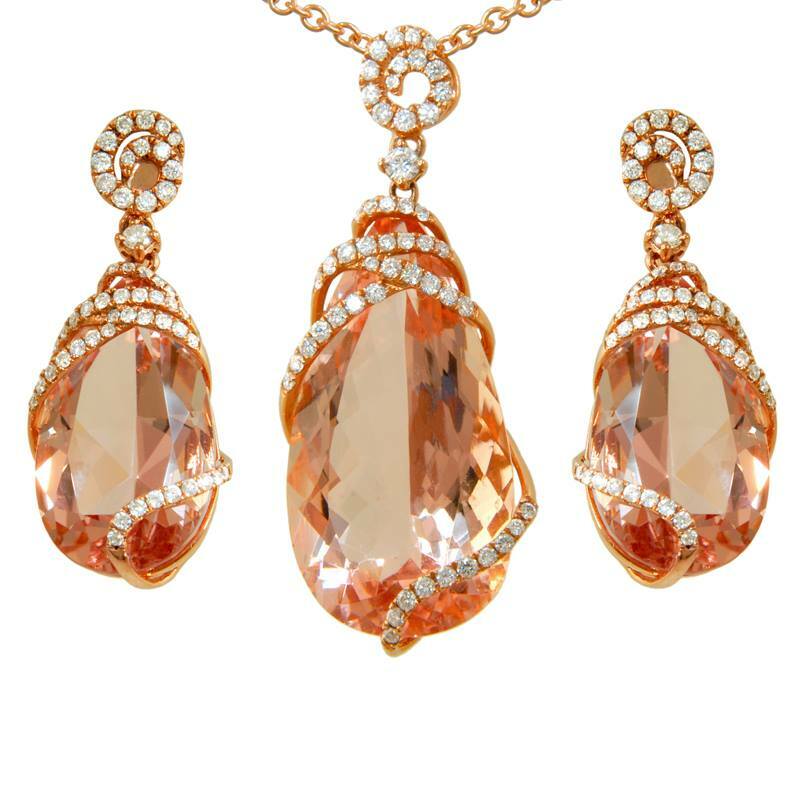 Morganite is the pink variety of Beryl, the mineral that produces Emerald and Aquamarine. Because of its characteristic pleochroism, Morganite crystals will appear to change slightly in color intensity and sometimes hue when viewed at different angles. Morganite crystals can grow to very large sizes. One famous Morganite crystal called the Rose of Maine weighs over 50 pounds. Morganite was named in honor of J.P. Morgan, a famous financier and gem collector. When exposed to X-rays, Morganite is known to produce intense red fluorescence. The largest quantities of Morganite come from Brazil, but they can also be found in the United States, Mozambique, Namibia, Madagascar, and Afghanistan. The Gem Collection had some beautiful specimens of Morganite on display for our 2013 Tallahassee Colored Stone and Jewelry Show.